The Cleopatra corner tub is a contemporary and timeless, acrylic designed model, perfect for small or large bathroom corners. Cleopatra’s unique and ergonomic interior provides bathers with comfortable and long body soaks. 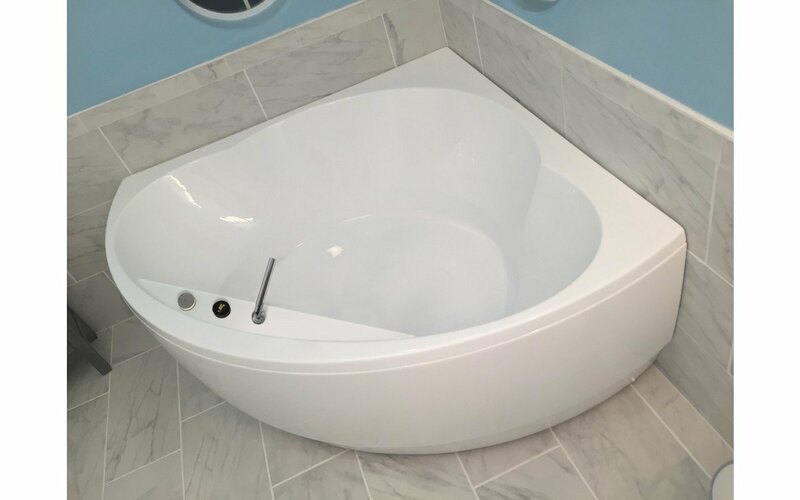 Crafted using premium acrylic sheets from Lucite International, this tub presents thick walls that provide unparalleled heat retention and durability. The unusual three-way ‘petal- shaped’ configuration of this bath gives the bather plenty of choices. 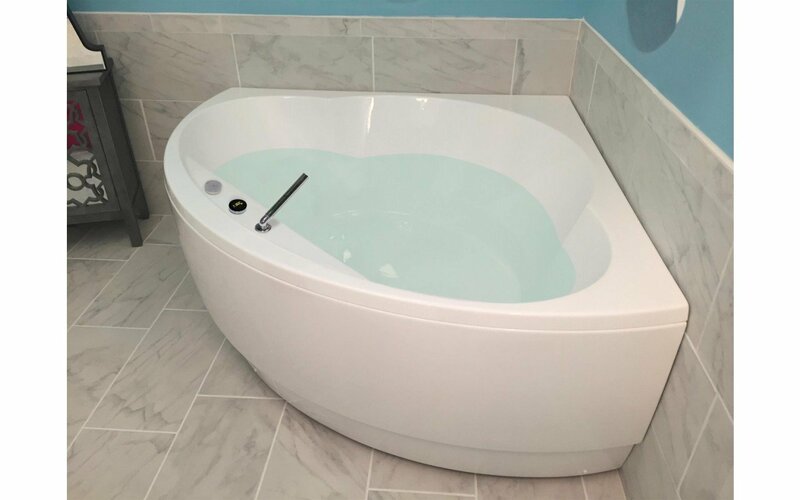 You can recline, cradled by the gently curving sides, to enjoy your full body soak. 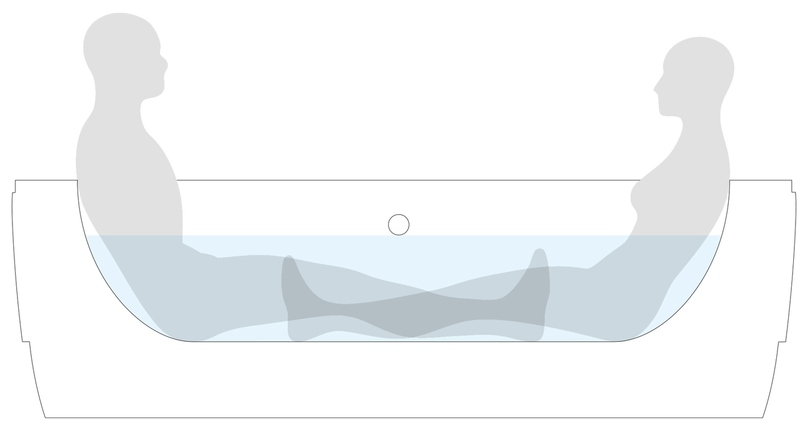 You can sit back in fully supported comfort. Or invite your partner to share… there’s plenty of room for two. With the mixer and tap centrally placed out of the way but easy to access. The thick insulated wall spaces add to your comfort by increasing heat retention. Love the the look and the way it fits in the room. The only thing I would change is the width of the side so I could have the faucet places other than the back corner. 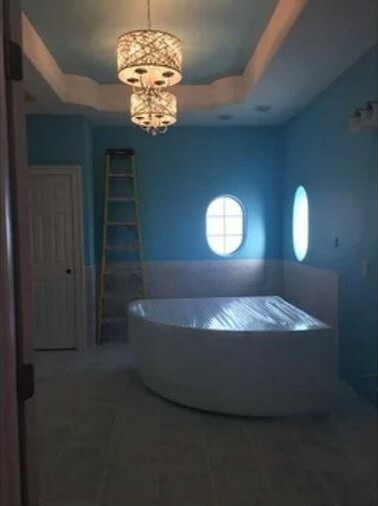 Beautiful Tub! 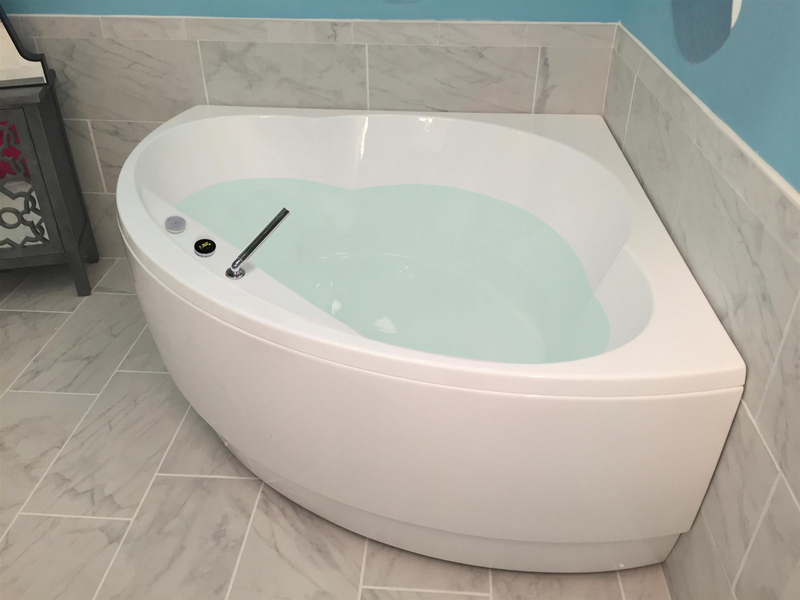 The tub is beautiful and perfect for a modern master bathroom. The shipping was slightly delayed, however this was not a problem for us as we had ordered with a lot of time to spare. It arrived very well packaged with no problems at all. Two men were able to carry it upstairs to the bathroom it is for. We are having it installed next week.